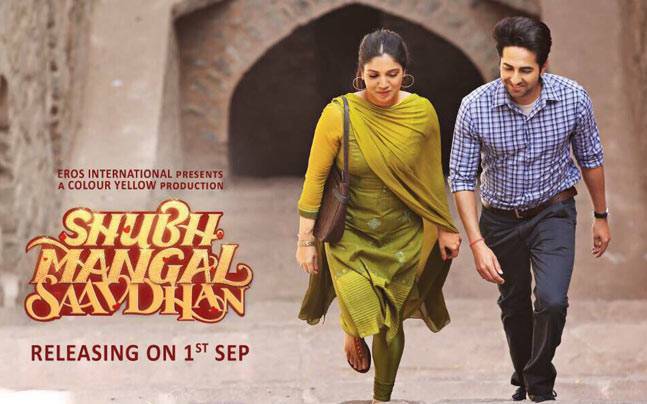 Hello Guys, We sharing some beautiful and interesting dialogues from movie Shubh Mangal Saavdhan. This is an upcoming Bollywood drama film, directed by R.S. Prasanna and produced by Aanand L Rai. Ayushmann Khurrana and Bhumi Pednekar are playing main lead role. This film is a remake of the Tamil movie Kalyana Samayal Saadham. The film trailer has already released. The trailer is really funny and interesting. Some quirky and funny dialogues are available in this film, mostly famous dialogues are delivered by Ayushmann Khurrana & Bhumi Pednekar. Here I have collected all best dialogues, punches and lines of this film Shubh Mangal Saavdhan. This film is releasing on 1 September 2017. "Yeh aaj kal ke ladkon ka na dimaag hi kharab hai ... Shakal chhuse bhar ki aur ladki chahiye Katrina Kaif"